There is a point early on in a sewing project when you just know that the final product is going to be fantastic. 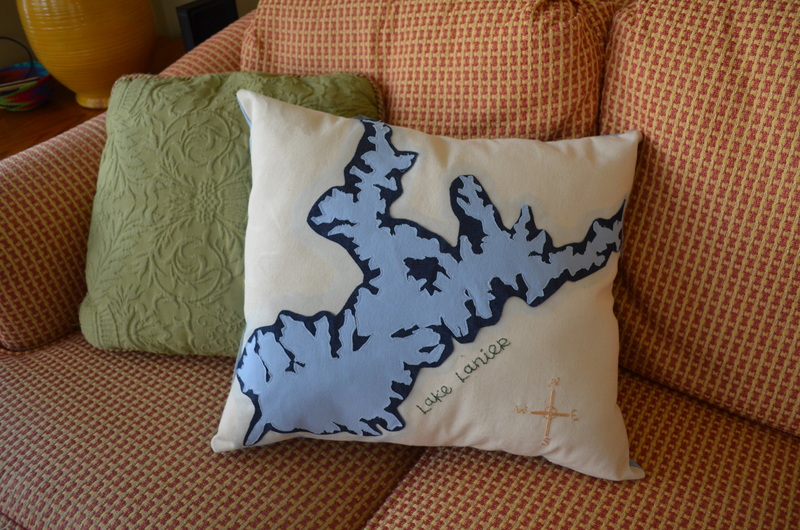 This idea – a pillow with a map of the lake my parents live on – had been floating around in my head for months. And finally, back in December (yes, this is another overdue post) I finally put the plan into action. One day at work, I found a map online that I eventually used as my template. It was that early on – before I had even picked up a piece of fabric – that I knew in my heart this pillow was going to turn out awesome! I think it turned out to be just that. I used the map I found online as a compass, pointing me in the direction I should take the project. 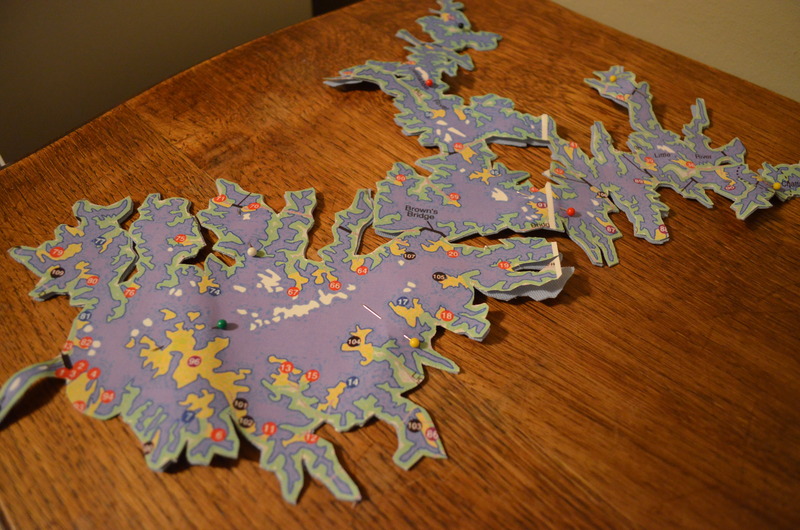 The map’s size decided the dimensions, and its green outline inspired me to use layers of fabric. 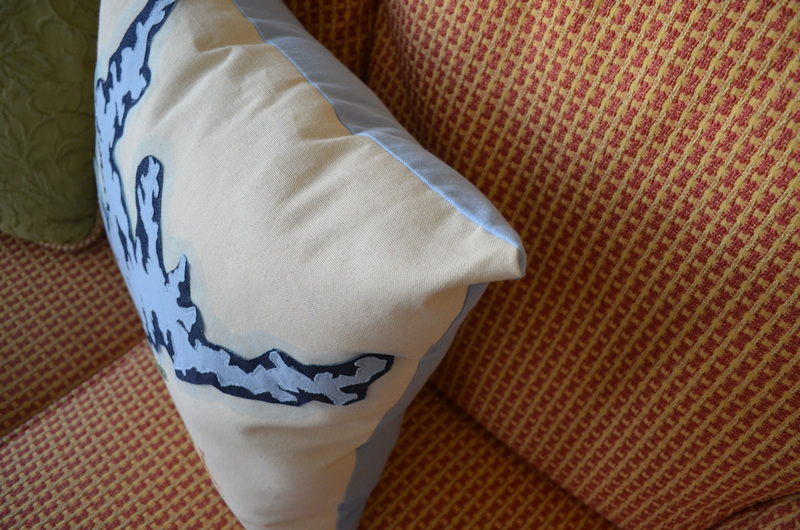 The pillow’s map has 3 layers of fabric. The first (though it may be hard to see in the pictures) is a layer of light blue tulle. The second layer is a dark denim material someone gave me as scraps. 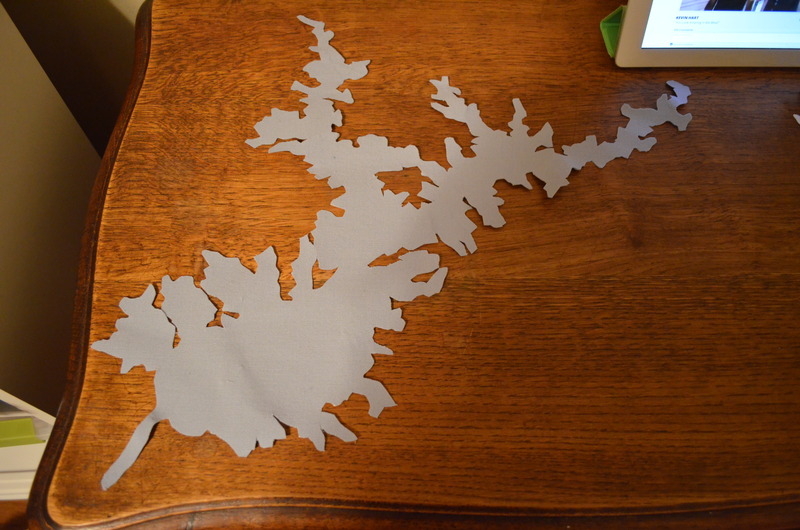 Using heat n’ bond iron-on adhesive, I cut out a rough outline of the map without the worry of fraying edges. Finally, the third piece is the most detailed. 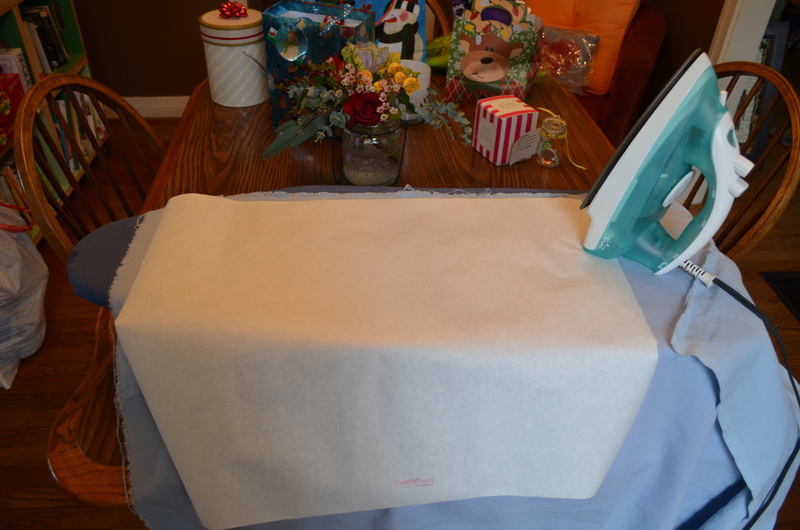 Again using heat ‘n bond iron-on adhesive, I pined the map to the fabric and cut out the map along the green border. 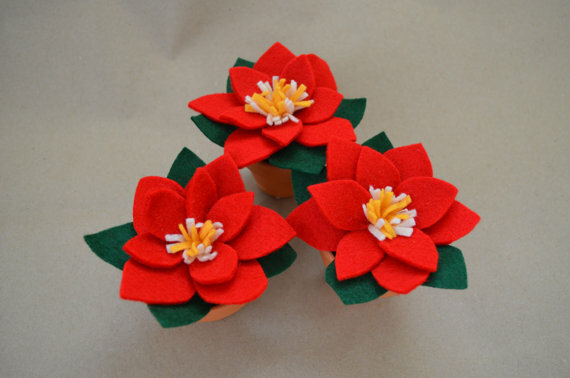 (I thought if I cut any closer, some of those tiny coves would be crazy difficult to cut out.) This piece took awhile to cut because I went nice and slow. I didn’t want to make any mistakes. With the three layers made, I ironed the denim piece with the tulle underneath to the pillow. I then did the same with the light blue piece. 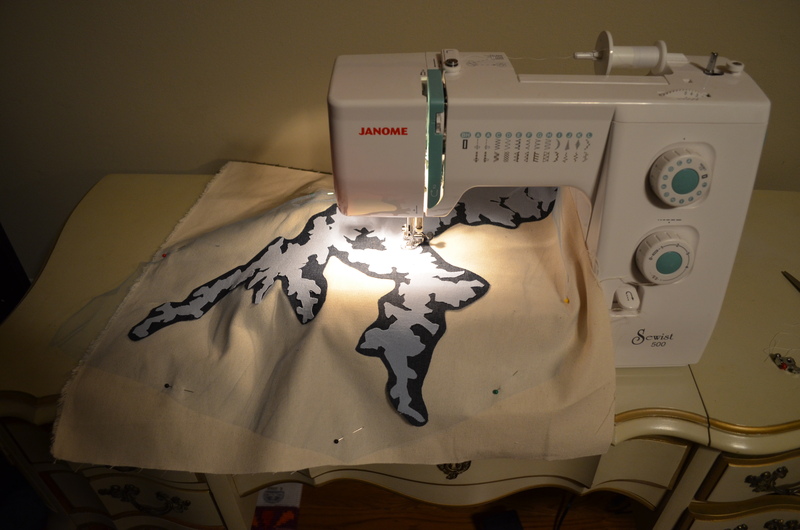 With everything loosely attached, I used the embroidery foot on my sewing machine to sew everything down. 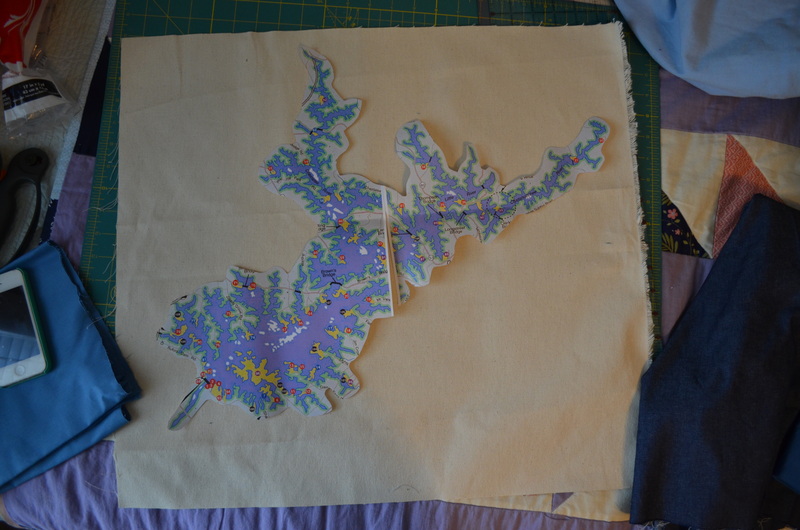 With the map in place, I added a few details, embroidering the lake’s name and a small compass. I then attached the back piece, placing right sides together and sewing along the edge with a 3/4-inch seam allowance. 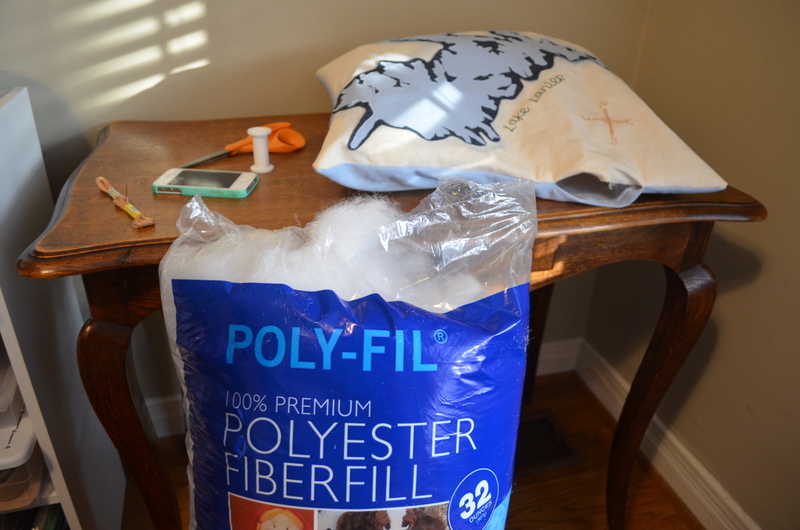 Leaving a small hole, I stuffed the pillow with poly-fil, and hand sewed the hole closed. It’s been awhile since I used my embroidery foot with my sewing machine, and for me, it’s take a few minutes before I feel like I have the hang on it. But even in it’s imperfect moments, I love the free-form look of this sewing foot creates. For me, it just enhances the homemade quality. After attaching the lake map, I felt like the pillow still needed something extra. 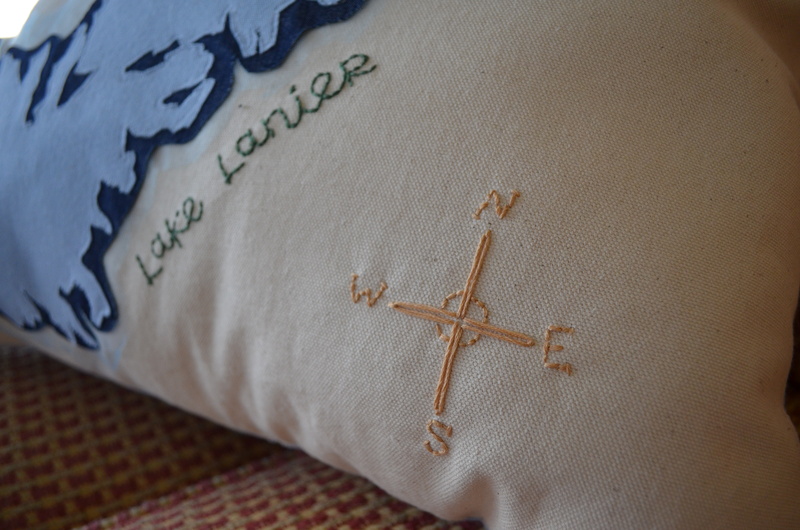 I knew I wanted to embroider the lake’s name, but the idea of the compass came to me at the last minute. It was the perfect finishing touch. Overall, this pillow is of great quality. 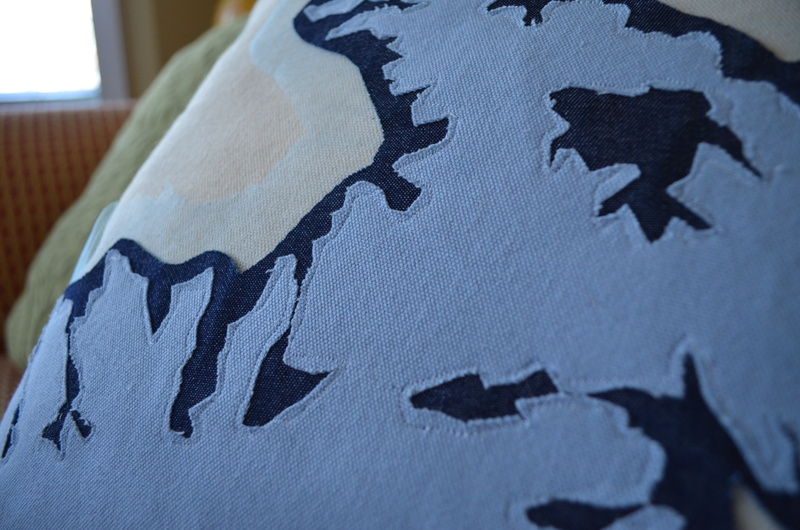 I used canvas for the front of the pillow and a thick, blue cotton fabric for the back. Both pieces were in my collect of scrap fabric, so I don’t know about cost. But I do know the fabric choice helps make the pillow feels so sturdy. 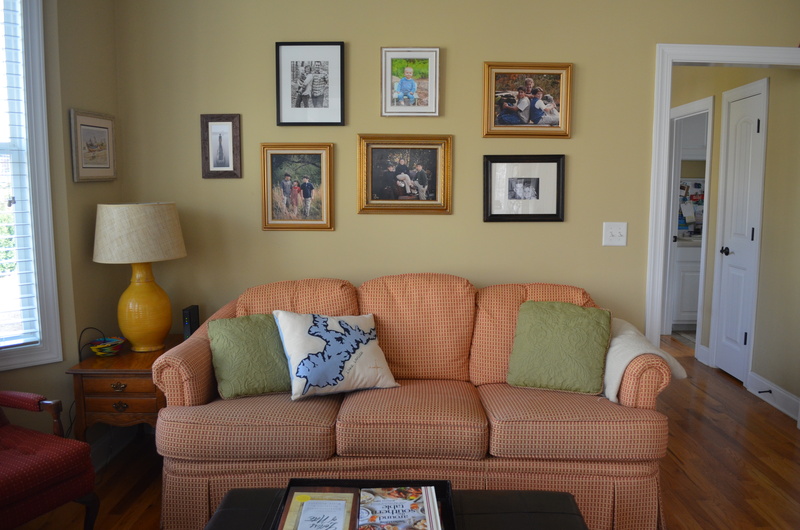 The pillow now lives in my parents’ kitchen in a cute sitting area they created (instead of having a kitchen table). On a good winter day, you could stand up from this spot and see the lake through the windows. I couldn’t think of a better home. I know, I know. 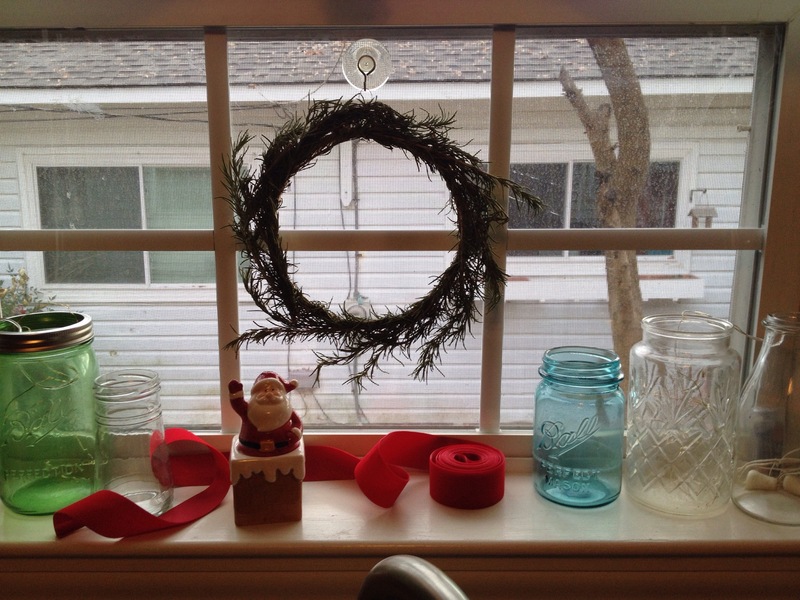 I’m writing about my Christmas stocking in the final days of January, but to my defense, this month has flown by. I’m ready to flip my calendar to February with hopeful thoughts that next month won’t be as crazy. But back to Christmas: this year I decided I wanted to buy a nice Christmas stocking, one that I would treasure year after year. 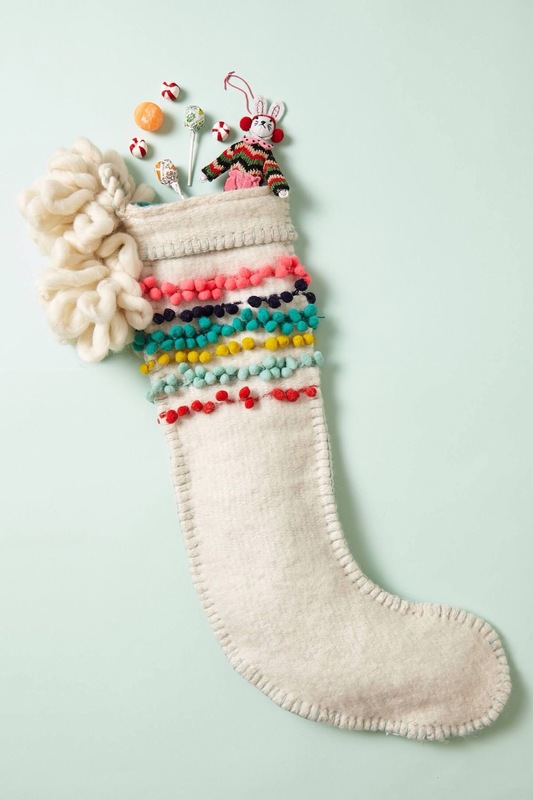 When I stumbled across this stocking at Anthropologie, I was instantly smitten, but the price tag made me think twice. 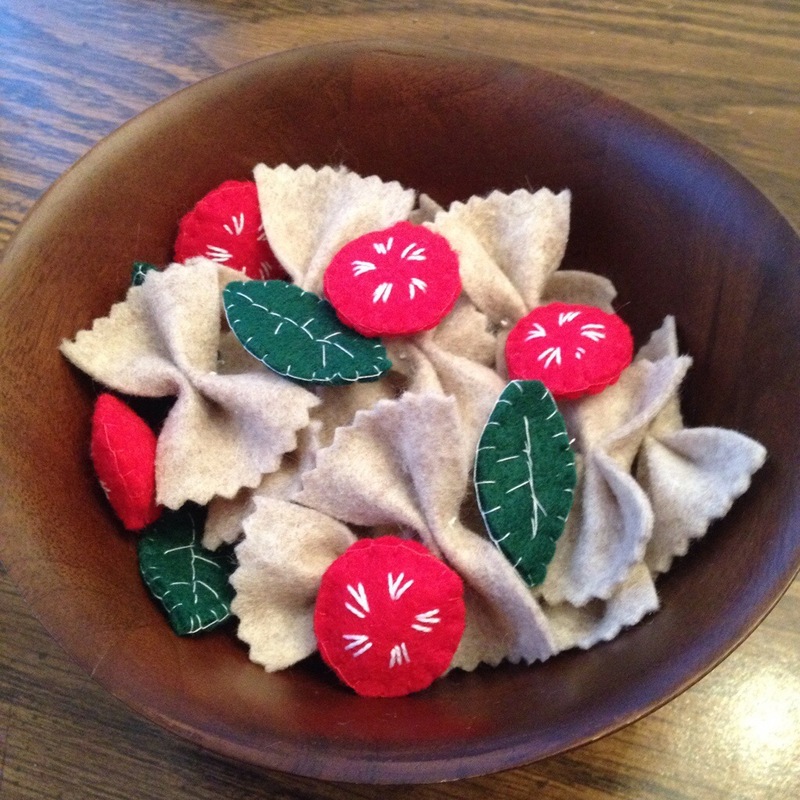 The thought is almost reflexive at this point: I could totally make this! I’ll keep the picture of the Anthopologie stocking small because when placed side-by-side, my stocking looks pretty “crafty” in comparison. The difference is in the quality. I’m sure Anthopologie used expensive wool. 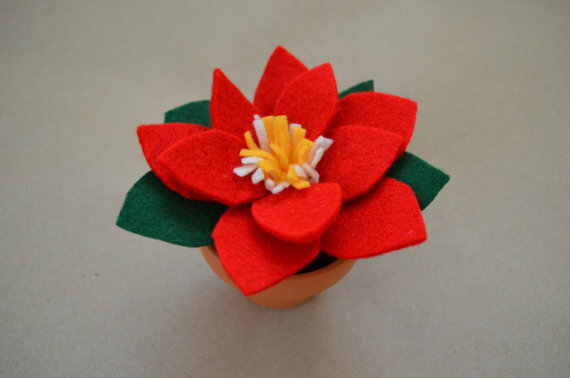 I used acrylic felt from Hobby Lobby. They used these adorable mini pom poms with a trendy color pallet. 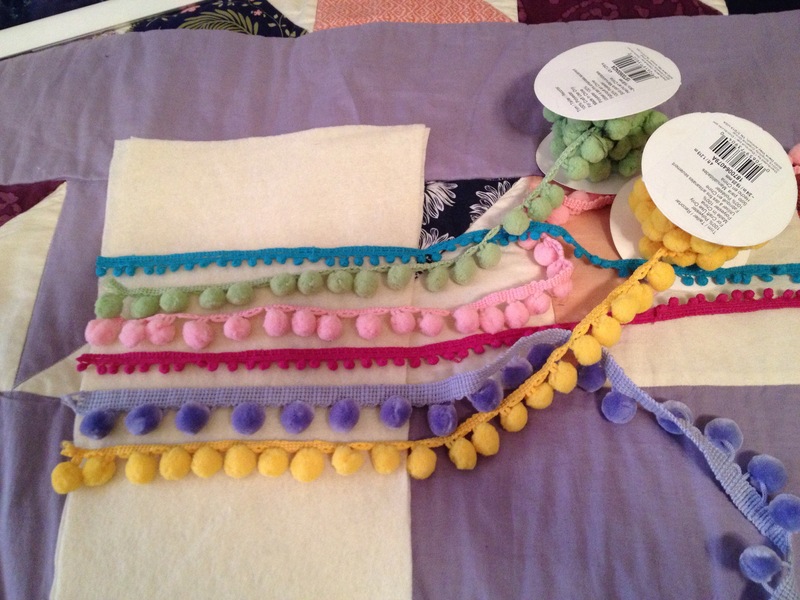 I was stuck with the primary colored trim selection at JoAnn Fabrics. Don’t get me wrong, I love how my stocking turned out, especially when you compare the price. I spent about $8. The item is now out of stock, but I remember Anthropologie selling it for almost $50. 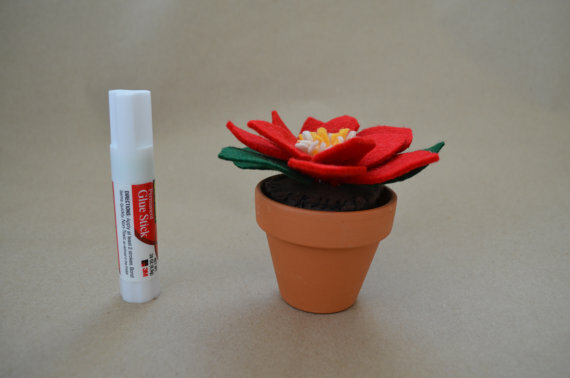 In my excitement of the project (plus, I made it really late at night and the lighting would have been a mess), I didn’t take many step-by-step pictures. 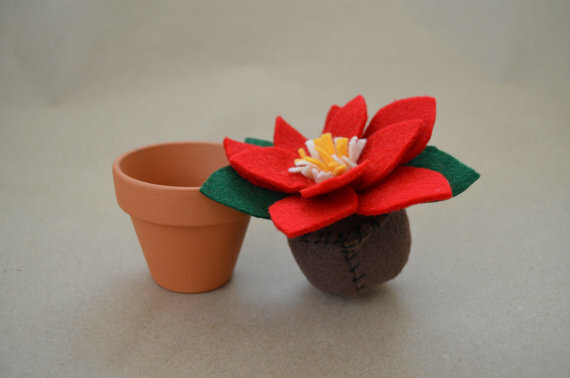 But the process doesn’t venture far from a normal Christmas stocking tutorial. After cutting out the main piece of the stocking, I simply attached rows of trim. 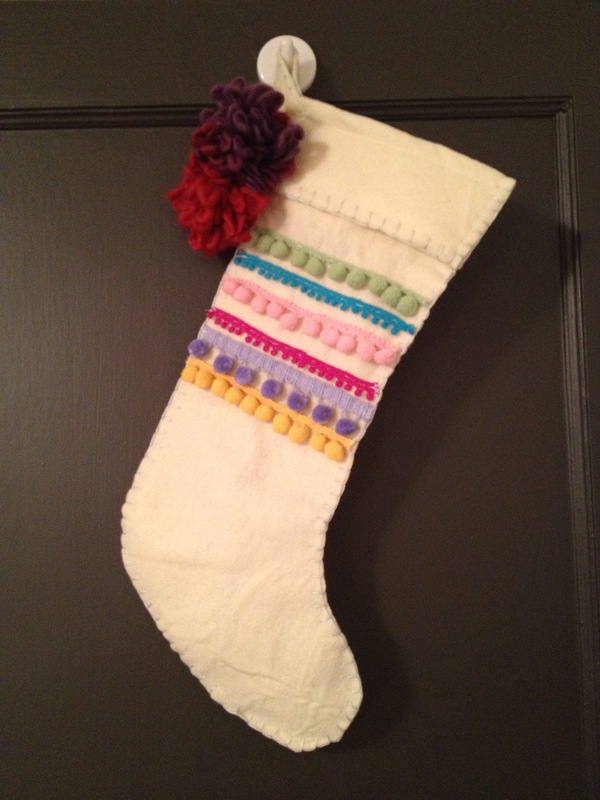 And instead of using my sewing machine, I used a blanket stitch to hand sew the stocking together. I used light blue thread to provide a little contrast. My final touch was the accent of purple and magenta yarn pom poms. I hunted for the white yarn in the similar style, but after going to a few stores, I felt lucky to have stumbled across the purple yarn. So I made it work! I’m sure when Christmas comes around this year, I’ll go through the same thought process of wanting a buy nice stocking. But for now, I’m excited that this Christmas stocking is mine. A needle and thread are the only tools you need to recreate the night sky. My love for the stars and their constellation stories are not new. (You might remember my first constellation-themed project with a pair of Toms.) 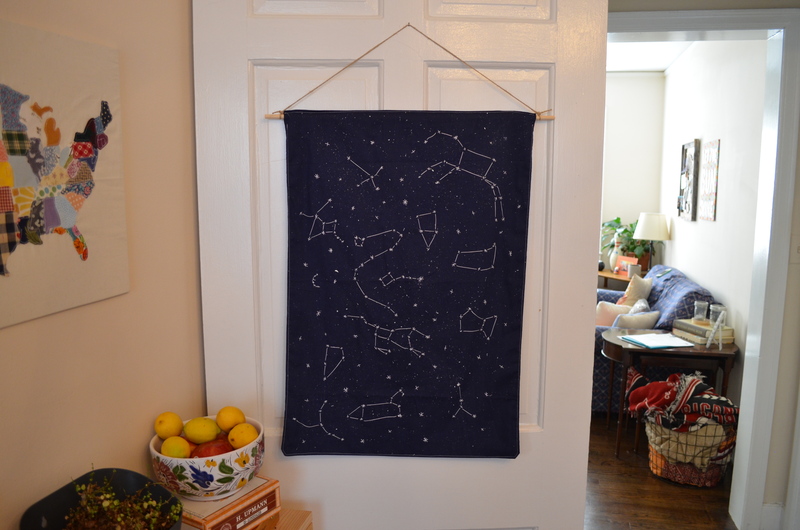 So when I began to brainstorm new projects to help decorate my new desk at work, I ended reverting back to a favorite, creating this hand-stitched star chart banner. Like my pair of Toms, I started by splatter-painting the material with silver paint, but this time, I used a piece of navy muslin fabric. (Sorry, I did not make note of dimensions) This process helps create the look of infinite stars, adding a beautiful layer of dimension. Once done with the silver paint, I did splatter on a little white paint too. 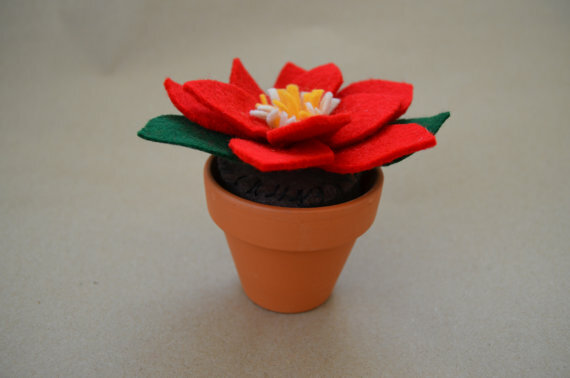 Once the paint dries, I start with my needle and thread. I printed off a a star chart to help with a few constellations, but for the most part, I stitched everything from memory. 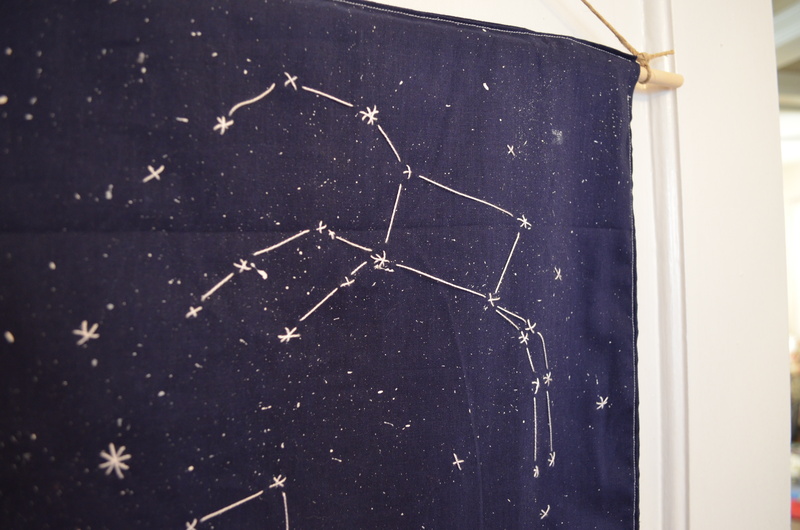 If you don’t feel comfortable doing this, use an erasable fabric marker to draw the constellations before stitching. 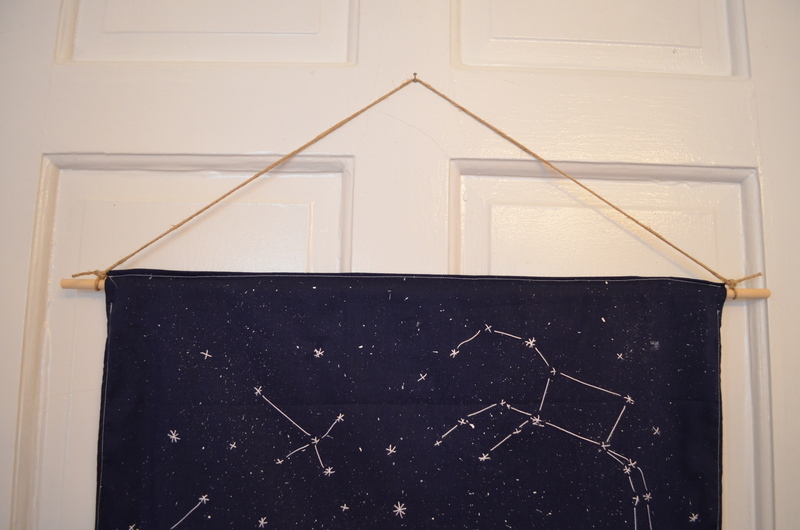 Along with the constellations, I stitched several additional starts to help fill in the spaces between constellations. 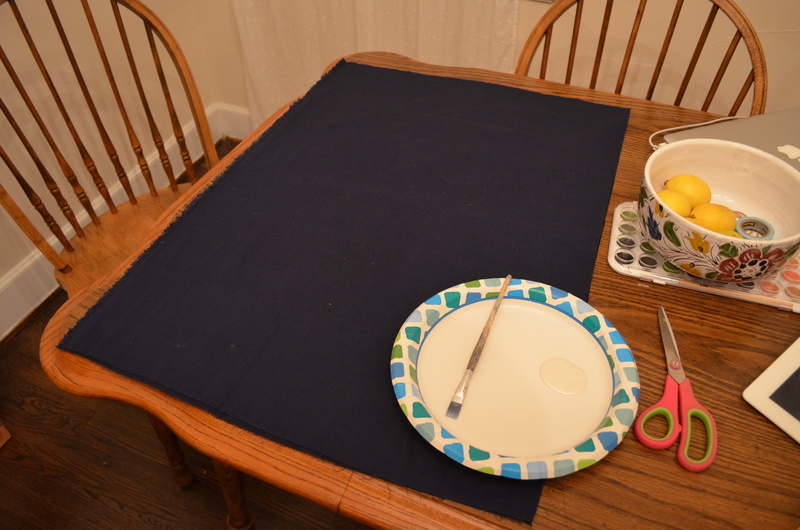 To finish, I took a matching piece of navy muslin, and placed the two pieces right sides together. Using my sewing machine, I sewed them together using a 3/4 inch seam. At the top, I skipped over an inch on each side to leave room for the wood rod. After turning the fabric right-sides-out, I ironed it, placed the wood rod, and used hemp string to hang the banner.